Kingdom Come Deliverance, the huge role-playing game developed by Warhorse Studios now out on PC and consoles, has recently received a new update on PC. The 1.3 update has yet to be released on consoles, but today we have learned more about when it will become available as well as more on the next update, which promises to be huge. On his Official Twitter profile, Daniel Vàvra has confirmed that the Kingdom Come Deliverance 1.3 update is currently being certified on consoles. Additionally, a new PC update, update 1.3.4, is going to release on PC next week, adding fixes and some new features. A week later, update 1.4 is going to be released, featuring a lot of bug fixes and cool new stuff. Patch info time! 1.3 for consoles is being certified. Early next week (if everything goes according to plan) we will release 1.3.4 for PC which will fix random events and add some cool new features. Approx week later we will release 1.4 with lots of bugfixes and cool new stuff. Last week, Daniel Vàvra himself confirmed that update 1.4 is going to improve performance on PC. Performance on consoles is also going to be improved, but it will be less visible than on PC. Maybe, but less visible. We made some mistakes in ultra-settings that were added in a hurry, so will fix those. Also, we will optimize multicore CPU support, which is already fine on consoles. 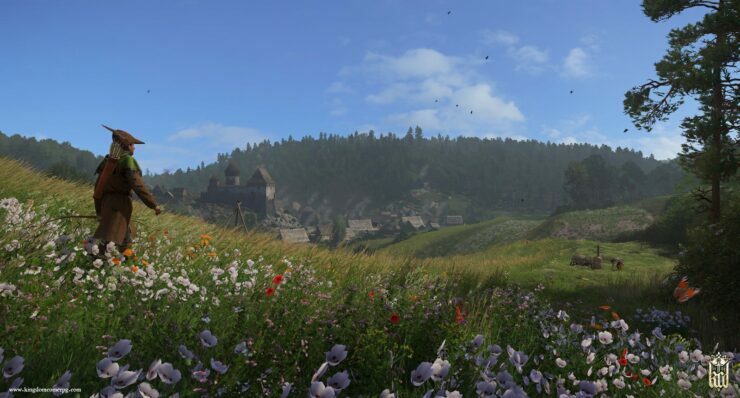 Kingdom Come Deliverance is now available on PC, PlayStation 4 and Xbox One. We will let you know when update 1.3 launches on consoles as soon as possible, so stay tuned for all the latest news.